Bridgette is a Personal Trainer and Lifestyle Health Coach committed to individuals seeking to lose weight, tone up, stay fit, and learn how to incorporate healthy lifestyle changes for long-term maximum results. 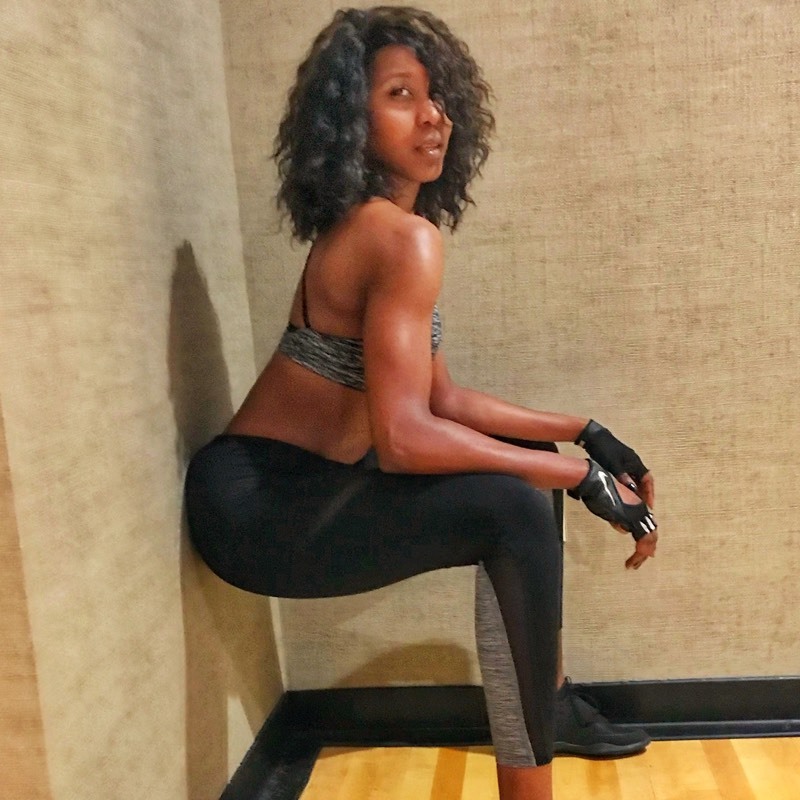 Ever since her school days of cheerleading, dance and track and field, Bridgette has proded herself on being generally physically fit and active. As time progressed, her focus on health & fitness started to fade; until she suffered from a minor seizure at the age of 24.This event sparked a changed in her mentally and physically and she began to take her health more seriously. 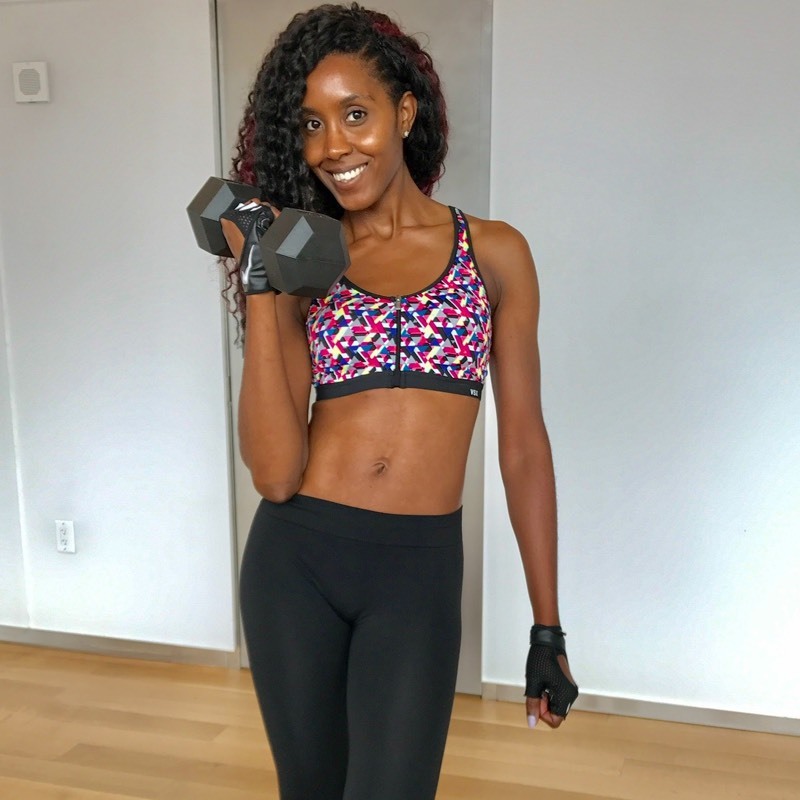 After changing her eating habits and incorporating a regular fitness routine into her weekly schedule, Bridgette discovered her passion; educating individuals through fitness and maintaining an overall healthy lifestyle. As scared as she was stepping into the unknown, Bridgette decided to pursue a career in the personal development of individuals through personal training and health coaching. In this transition, Bridgette discovered happiness, health and who she is. We all face challenges, mentally, spiritually, emotionally, and physically that are tied to our overall health and well-being. Working as a personal trainer with XSport Fitness and teaching Nutrition to middle school kids at Great Oaks Charter School Bridgette has built strong relationships with her clients and students by educating them on the importance of a well balanced life. Whether weight-loss or weight-gain, strength and conditioning, working through injury or staying fit is the goal, Bridgette makes her one on one and group fitness classes, and lessons fun-filled, informative, and engaging. Through fitness Bridgette has gained physical and mental strength, confidence, and an understanding of how important it is to fuel your body so it can perform at its best. Bridgette’s ultimate goal and passion is to continue sharing her knowledge with those she encounters that want to live up to their potential by being healthier, stronger and more confident in their skin while having fun! I love working with Bridgette! She is always very patient with me when I need a little extra time to get my workouts done. At the same time, she knows when to push you harder than you’d do on your own to get the results you’re after. Bridgette is the best trainer I’ve ever had. I was always afraid to do any type of training because most trainers can be indimidating but Bridgette makes people so comfortable and keeps you so motivated. Not only does she help you with the 20% but she helps you with the 80% by giving you tips on what you should eat, takes a trip with you to the grocery store, and tips on how to set up your meals for the week. Not only is she your trainer but a great therapist too! Haha! If you’re looking for a super motivating trainer and a good friend outside the gym as well Bridgette is your trainer!! Love love love her! Bridgette is an all around amazing trainer. She’s patient with you and your specific needs and knows how to push you when you need it. On top of taking her fun group workout classes, she also gave us nutritional tips. I’ve got great vegetarian friendly recipe ideas that definitely compliment my lifestyle and works outs. If you want a an super well balanced trainer, Bridgette is the person to go to!! Bridgette has a determination to live what she teaches. She cares about the wellbeing of others & loves to see her clients succeed. Bridgette is full of life & loves sharing healthy tips. She is well rounded & dedicated. Bridgette is the perfect trainer if you are looking for a life changing experience. Bridgette has a such a great presence. She makes me feel comfortable trying new workouts. She’s a great accountantability parter. I am way healthier and I have more energy. I've been training with Bridgette for over a year now. She pays attention to what your body can and can't handle and will push you til you feel like you can't go no more. She's taken me to the next level in training. From Box Jumps, to Floor Work, Resistance Training and Weight Lifting, it never gets boring. There's always something new everyday. Very responsible. You won't regret signing up with her. I have been training with Bridgette for a little over one year now. She inspires me every session! Always motivational and passionate about our training sessions. She listens to your worries and fears and turns them into positives as you’re working out. Always redirecting those negative thoughts. I’ve made a great deal of progress in this year and couldn’t be happier! If you’re up for a challenge and a change Bridgette is your girl!